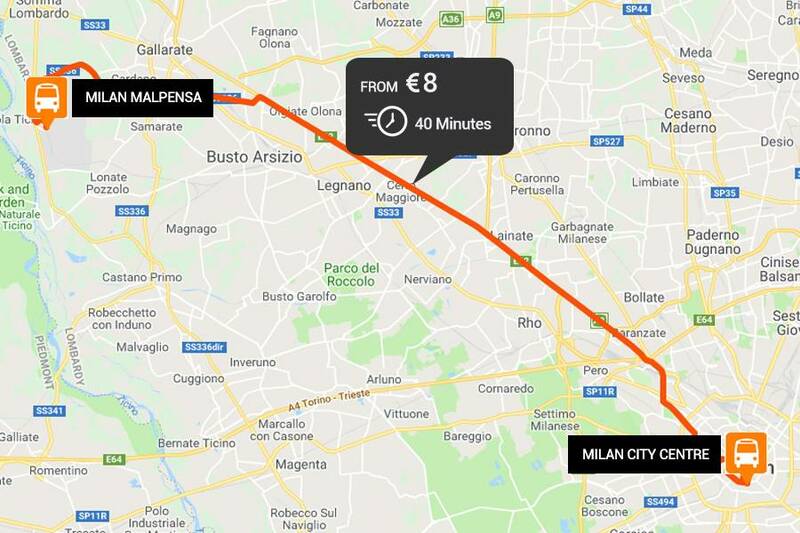 This service offers single and return airport bus transfers between Milan-Malpensa Airport and the city center of Milan. This route is operated by Airport Bus Express (Italy). Journey times from as little as 40 minutes and one-way fares from just 8 Euros.